The Strange Case of Dr Jekyll and Mr Hyde is quite different from what I was expecting. I’ve seen countless movie interpretations and adaptations of the story, but none of them seem to capture the real intention and mystery of Stevenson’s novella. Usually his story is turned into a science-fiction action-packed romp, while the original is much more subtle. It’s more mystery than science-fiction. We follow the lawyer Mr Utterson, who is a bit concerned about his friend Dr Jekyll, when Dr Jekyll creates a new will, leaving everything he owns to a the infamous Mr Hyde in case of his disappearance. Mr Utterson doesn’t trust this, and suspects his friend is being threatened or black-mailed. Well, we all already know what’s really going on. I think it’s a shame I was spoiled with the twist at the end. It takes away much of the mystery if you are in the know. The Strange Case of Dr Jekyll and Mr Hyde is still a very enjoyable novella though. It’s well written, and the last chapter alone warrants a reread in a year or so. I love how books written during the last part of the nineteenth and the start of the twentieth century have themes that you don’t find in contemporary literature any more. They still believe in a real good, in technology as solution, but also focus on the soul of man, on our constitution as humans. This descriptive and contemplative nature of writing is pretty much lost after the Second World War, when the belief in mankind is destroyed by the atrocities committed during that time. Literature is much more bleak and post-modern now, which isn’t much to my taste. 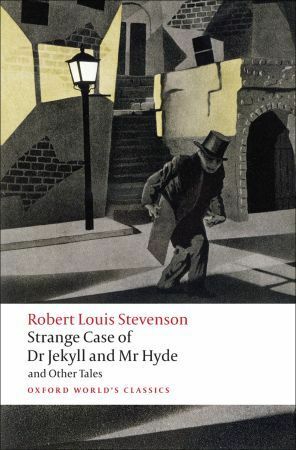 There is a lot more to The Strange Case of Dr Jekyll and Mr Hyde than the adaptations let on, and I’d certainly recommend it to lovers of soft science-fiction mixed with some interesting non-preachy philosophic bits.